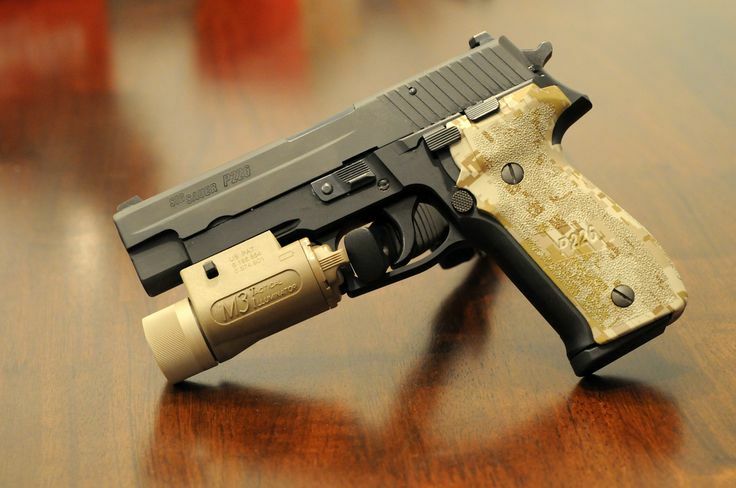 Home » Accessories » Get a Grip: Which Grips Should I Put on my SIG Sauer P226? 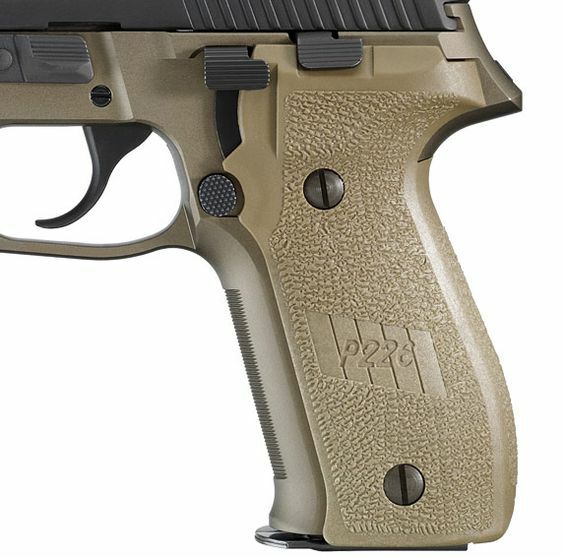 Get a Grip: Which Grips Should I Put on my SIG Sauer P226? As an admin of the SIG Sauer Fans and SIG Sauer Legion Owners groups on Facebook, I often see many of the same questions asked by new SIG owners. 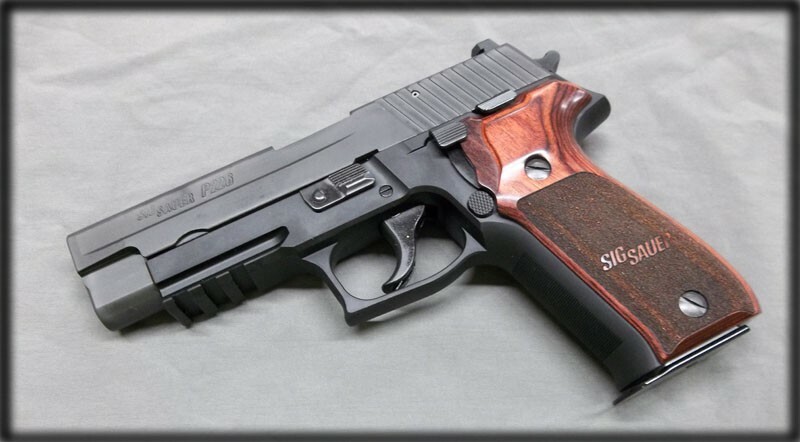 One of the most common questions is: “Which grips should I put on my SIG Sauer P226 (or P220, P227, P228, P229, etc. )?” The answer, as with most questions about modifications to one’s firearm, is “it depends.” It depends on how you use the gun, what “look” you might be going for, how big your hands are, and ultimately how the grips feel in your hands and how that affects your accuracy. This article will try to address all of those factors, and give you some tips along to way to help you select the grips that are right for you. 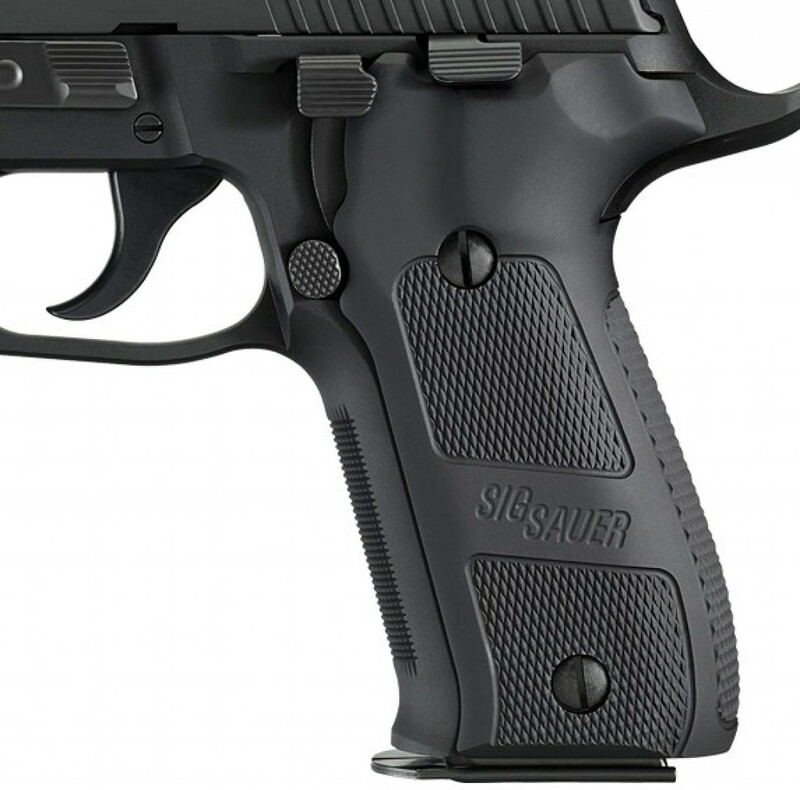 While this article primarily addresses grips for the SIG Sauer P226, the same principles apply to any of the SIG P-Series pistols… or any other firearm by any other manufacturer, for that matter. First, I’ll briefly discuss a few grip compatibility issues to keep in mind while shopping for new grips, so you don’t end up spending money on grips that won’t work with your gun. 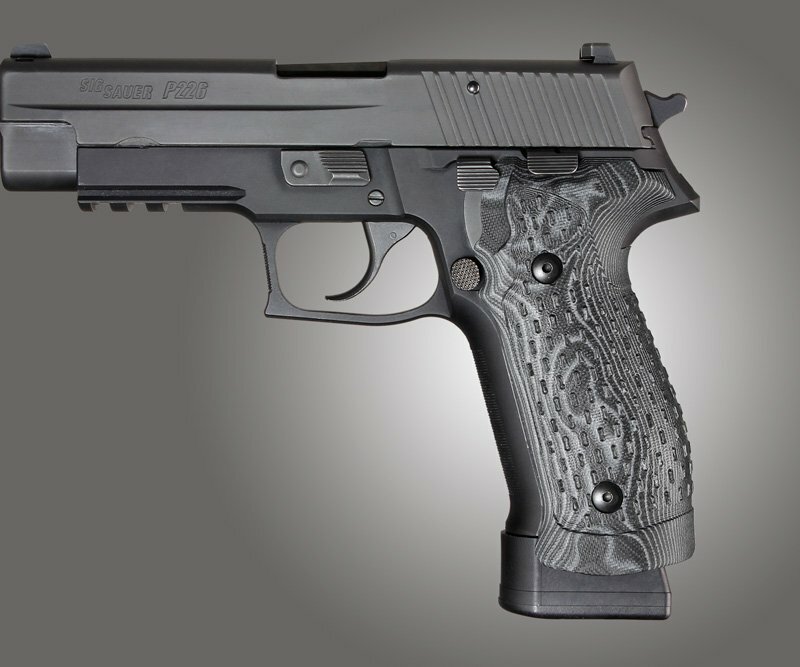 Next, I’ll talk about options for those choosing new grips for the P226 based primarily on looks. This is for owners who care mostly about how the gun looks, or its collectibility, or its sentimental value as a family heirloom. 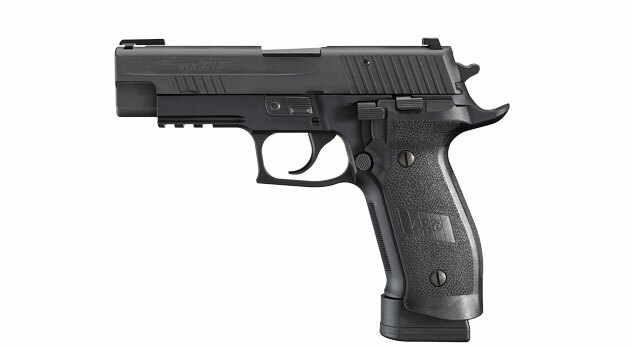 Third, I’ll discuss P226 grip options for guns used primarily for self-defense and/or range use. Finally, I’ll wrap up with a summary of all the different grip options discussed in this article, and include some links to where you can find them and continue your research before you make a final decision. 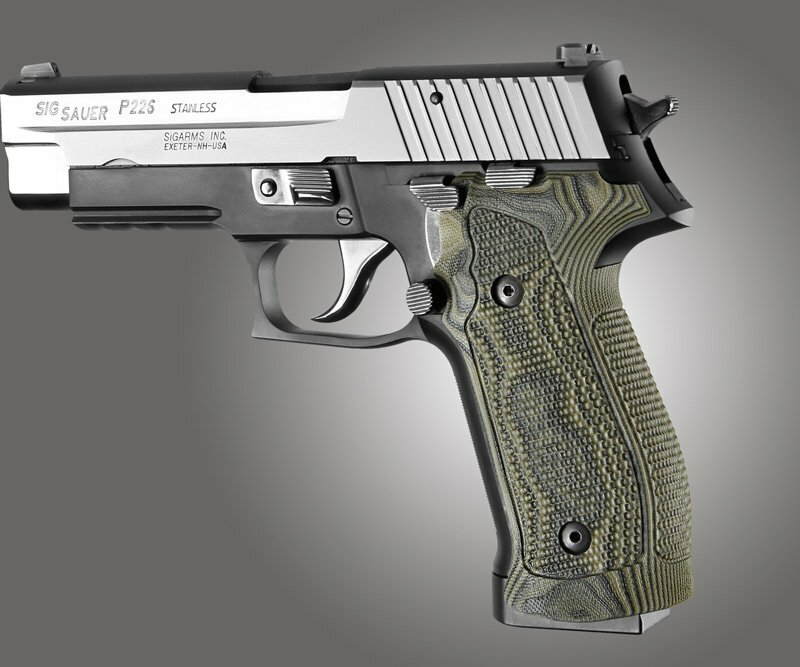 Most SIG pistols, even though they might look and function similarly, don’t allow you to swap grips. 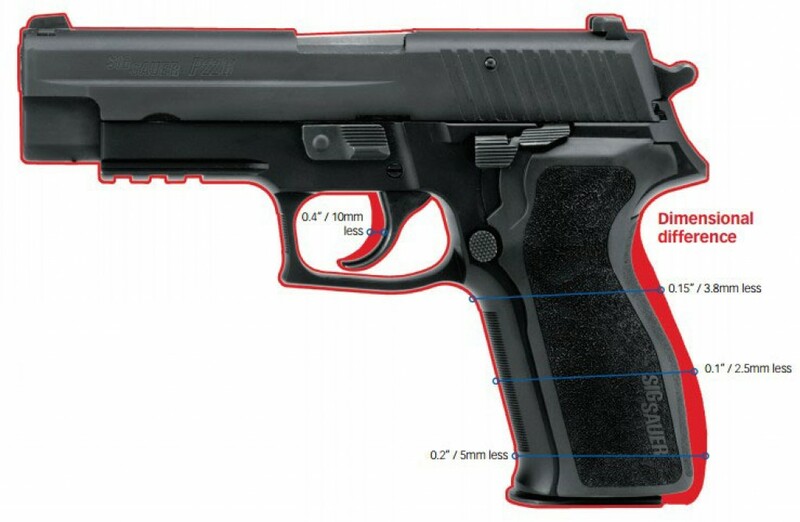 For example, you can’t put P220 grips on a P226, or P226 grips on a P229, or P938 grips on a P238. Also, keep in mind that “compact” variants of a particular model where the frame is shortened, such as the P220 Compact or 1911 Compact, can’t use grips designed for the standard-sized model. 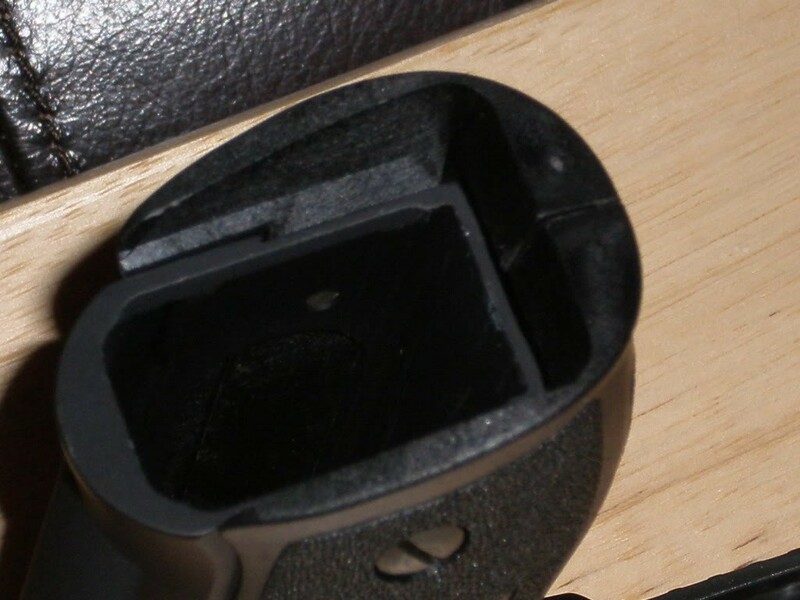 Some SIG Sauer models designed for the European market have their magazine release on the bottom of the gun. 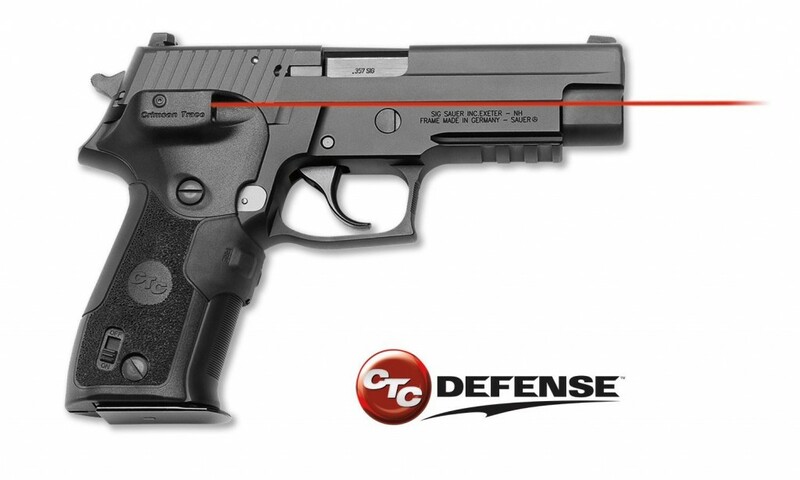 You might see this on some versions of the P220 and P225. 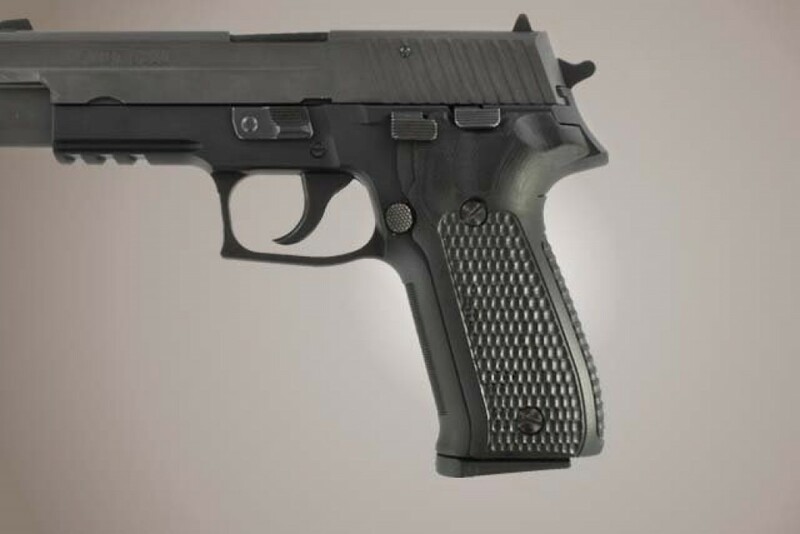 The US version of theP220 and P225 have a side magazine release. 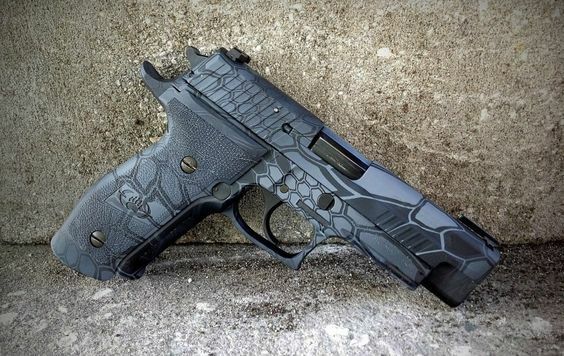 If you have a bottom magazine release SIG pistol, make sure that you’re shopping for grips that are built specifically for that style. It’s possible to use DA/SA grips on a DAK pistol, but you can’t use SAO- or DAK-specific grips on anything other than a pistol for which they’re designed. 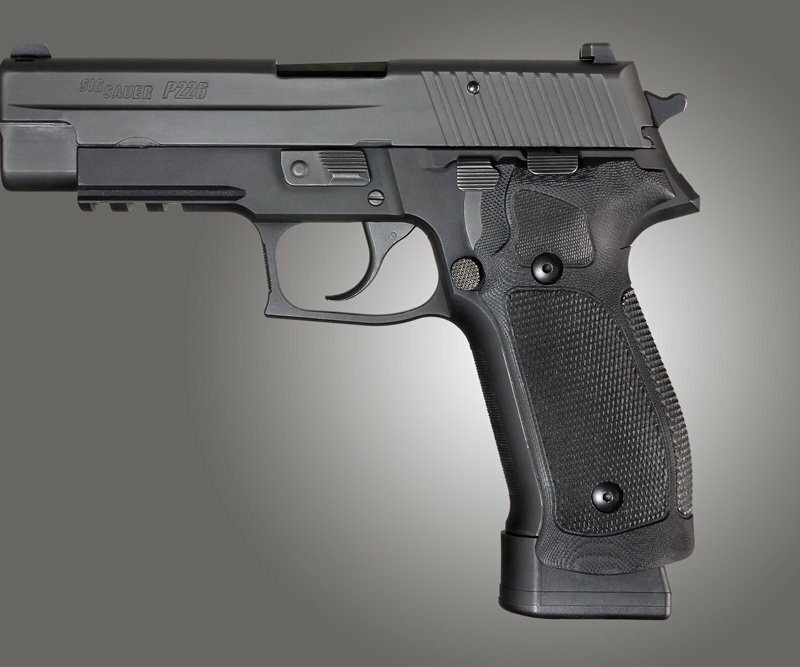 X-Series SAO pistols like the P226 X5 or P226 X6 can use any P226 SAO-specific standard length grip. 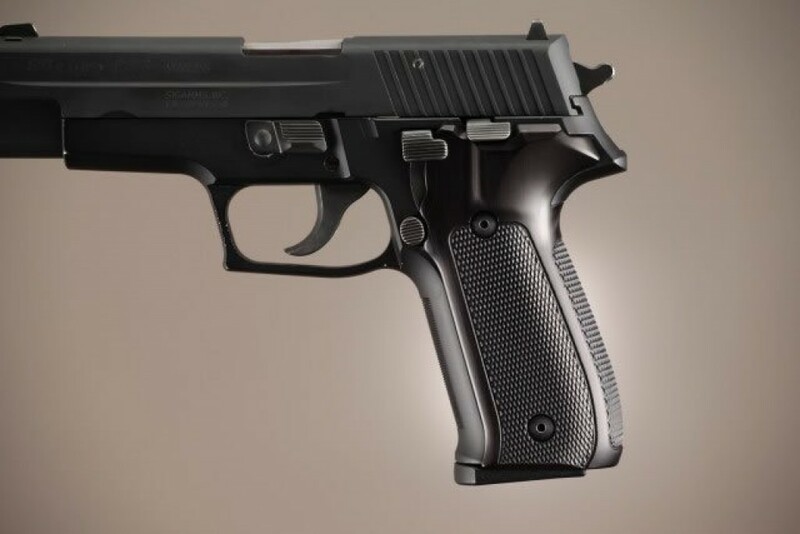 Extended length grips can’t be used on an X-Series P226 because of the pistols’ magwells. 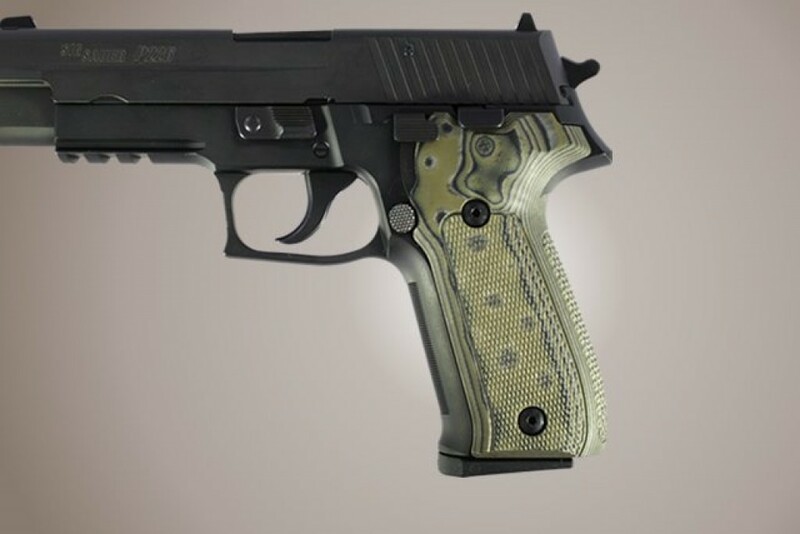 X-Series DA/SA Allround pistols can’t share grips with other P226 DA/SA pistols, and require DA/SA Allround-specific grips. P226 DA/SA Allround grips will not work on any other P226 DA/SA. 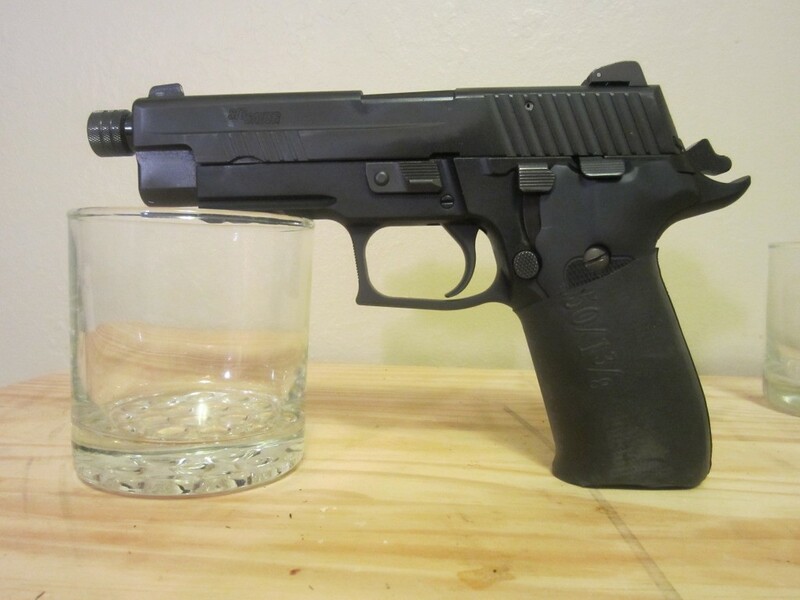 I’ve written a separate article explaining why, but if you have a set of original West German P226 factory grips, they can only be installed on a pistol that uses an original-style “bent” trigger bar spring installed. 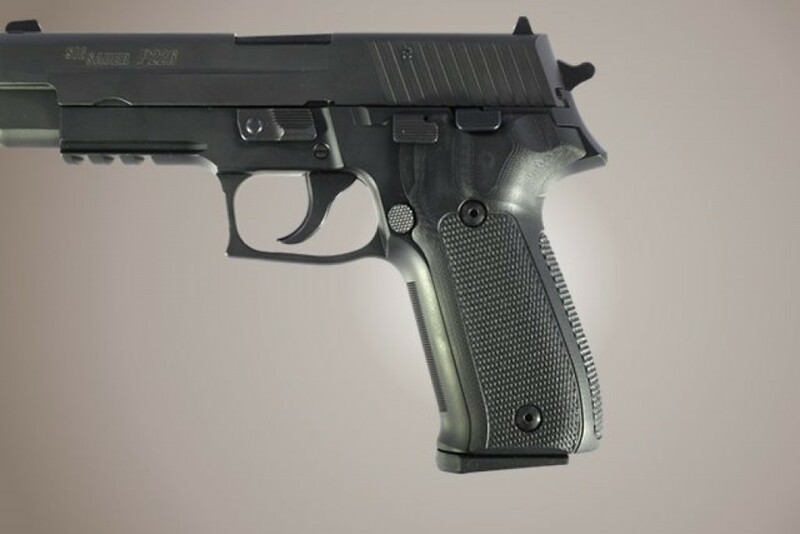 If you put the original factory W German P226 grips on pistol with the newer “looped” trigger bar spring, or it will cause your pistol to malfunction. Please read and look at the photos in this article if you don’t believe me. 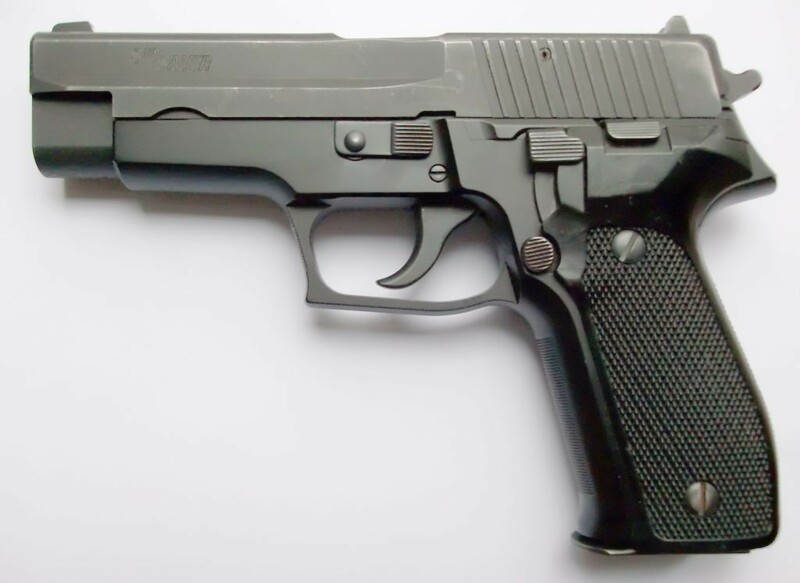 It’s fine to install newer style P226 grips on a West German P226. 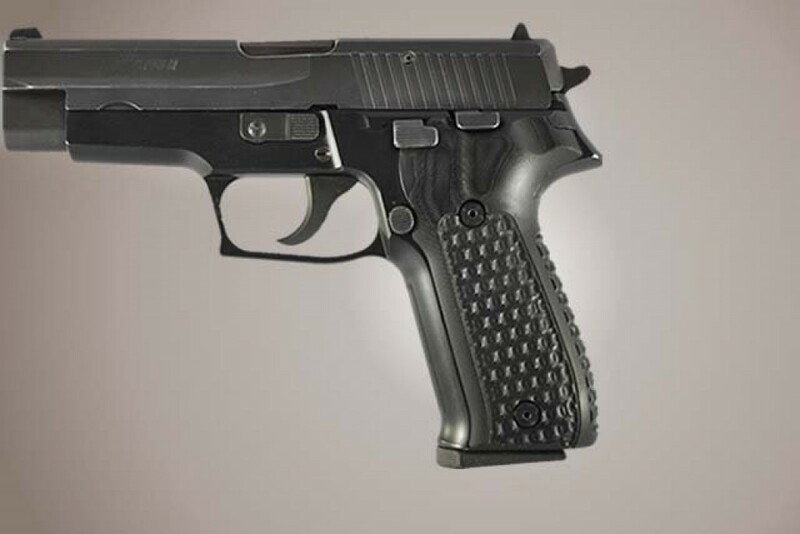 The problem only occurs when you try to run the original West German grips on a newer gun with the “looped” trigger bar spring, or if you’ve updated the trigger bar spring in your West German P226. It’s not uncommon for someone to own a gun that they don’t want to shoot often… or even at all. Maybe it’s a family heirloom passed down from your grandfather. Maybe you bought it as an investment. Or maybe your P226 is a “safe queen” (meaning it lives in your safe all the time), and you only take it out to post photos on Facebook and Instagram or show it to friends. Regardless of how you use (or don’t use) your gun, there’s no judgement here. It’s your gun and you can use it however you want. 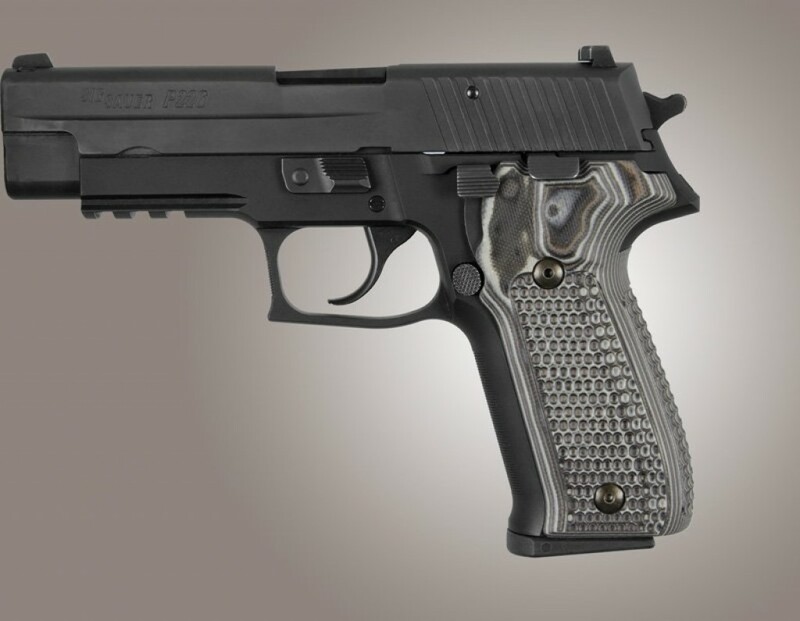 There’s absolutely nothing wrong with choosing grips for your P226 based primarily (or even solely) on how they look. 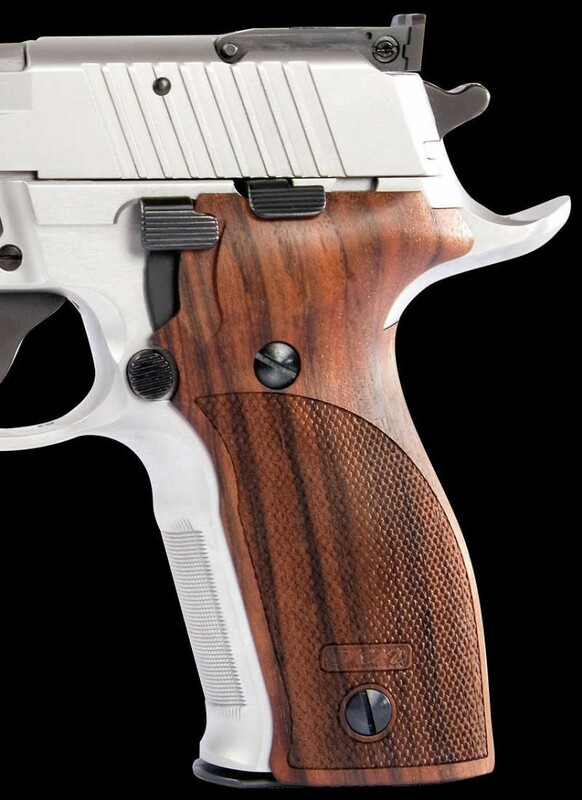 If you don’t like the smooth look, Hogue makes all their “fancy” hardwood grips in checkered versions, too. But they also make a number of wooden target and match grips, and other specialized grips that are as functional as they are beautiful. Nill grips are generally more narrow than the OEM or Hogue grips, and so they’re somewhat of a cross-over between looks and function. 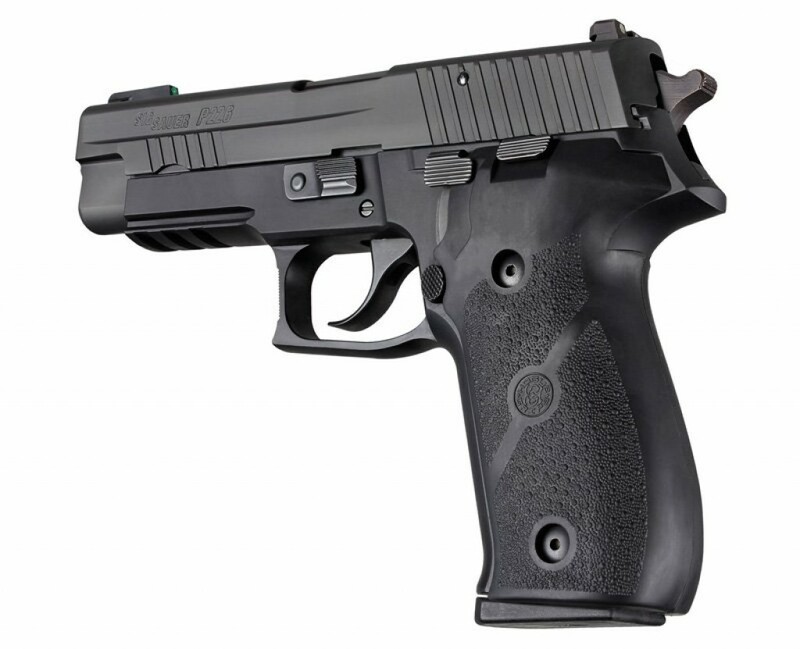 Amazon sometimes has Karl Nill grips available for the P226, but because they’re all imported from Germany, they’re usually somewhat hard to find, and you may have better luck on eBay, or directly from the manufacturer. 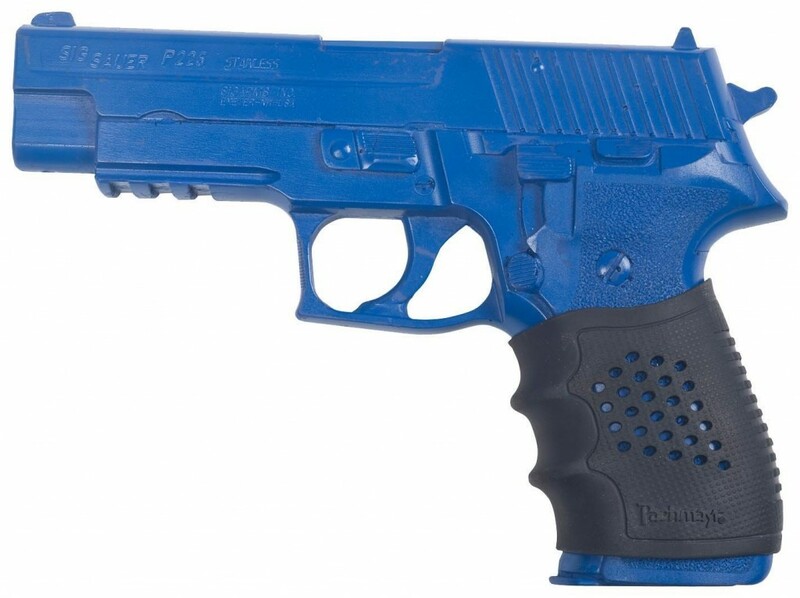 I’ve even found polymer grips for the P226 that look like they’re made out of pearl. 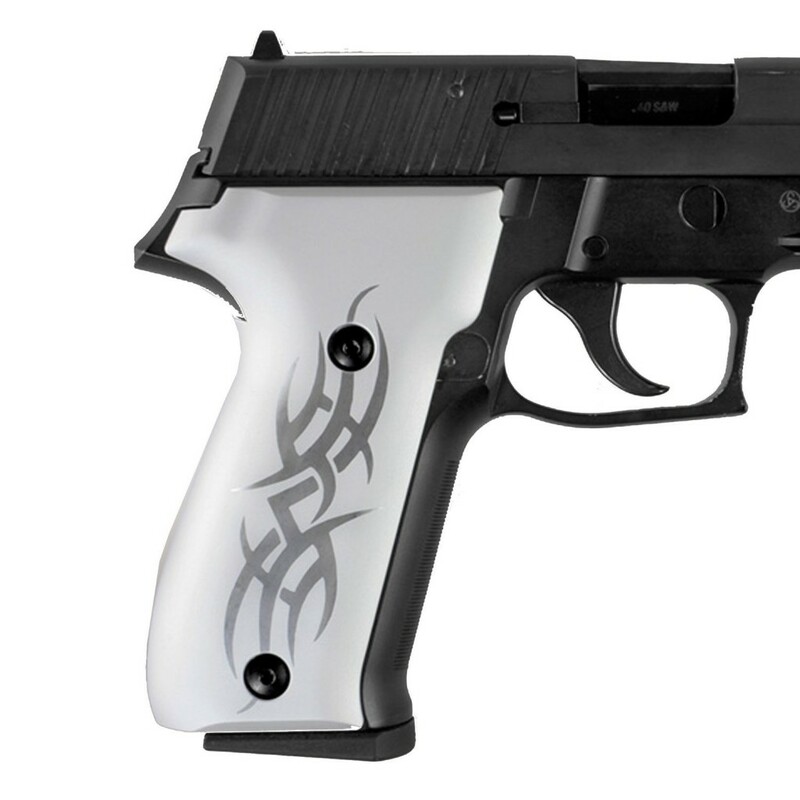 Of, for those who care less about originality but still like this classic design, Hogue makes these grips in a number of other colors, and also makes them in a matte finish. Examples include these gloss natural aluminum grips and these matte green ones. Again, if looks are your only consideration when purchasing new grips, then pretty much anything goes. Buy what you think looks good, and ignore anyone else’s opinion… including mine. 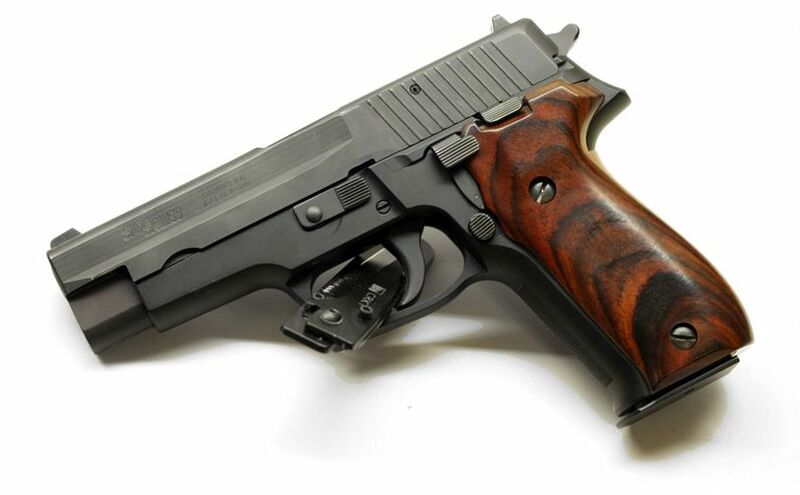 Of course, it’s completely possible that an experienced shooter using beautiful Rosewood grips on his SIG can still shoot the lights out all day long. 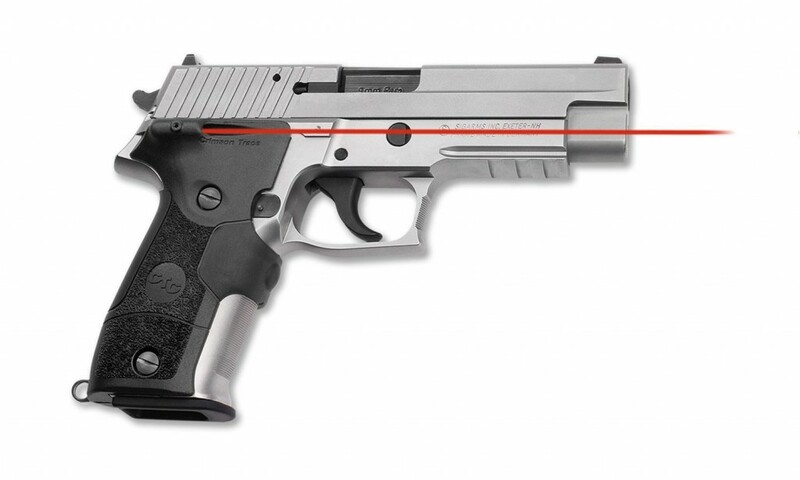 Just because you put attractive grips on your SIG doesn’t necessarily mean it’s not a shooter. Buy what works for you, and for how you use your gun. 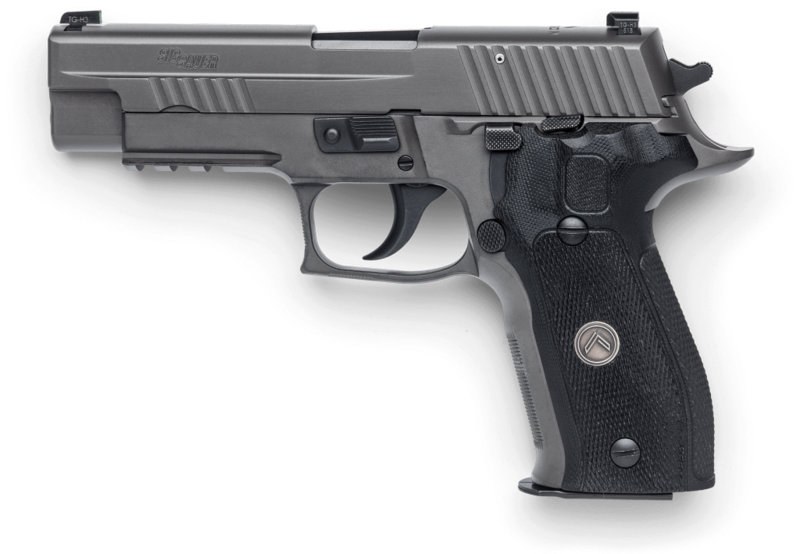 If you’re primarily concerned with how grips will affect how your SIG P226 feel in your hand — and more importantly, how that feel affects the accuracy and speed with which you can deploy and use it in a defensive scenario, you should select your grips on more than looks alone. Of course, it’s not a bad thing to include looks in your decision. Most of use care about how our new grips look on our gun. But for defensive use, form should always follow function. Lately, however, due to technological improvements in materials and manufacturing processes, it’s actually sometimes possible to have the best of both worlds. Reducing the reach to the trigger by installing a different trigger. Popular choices include the SIG Reduced Reach Trigger (which has nothing to do with SIG’s Short Reset Trigger Kit) or the Grayguns P-SAIT. 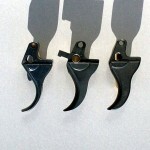 But this post is about grips, so I’ll address trigger options later in a different article. Personally, as someone who wears size “M” Mechanix Wear gloves when I shoot in the cold, I’m one of the many affected by this double-stack P-series grip size issue. If you wear a size “L” glove, you’ll be less affected by this and are probably fine with standard width grips. And if you wear “XL” gloves, it’s possible you might even want something thicker than the standard grips for defensive use. Just because you have bigger hands, doesn’t necessarily mean you won’t prefer a slimmer gun grip. Again, it all comes down to personal preference, and what helps you shoot better. Still, to keep things organized in this article, I’ll address the different defensive grip options based on whether they’re slimmer than, the same as, or larger than the current-gen factory grips. 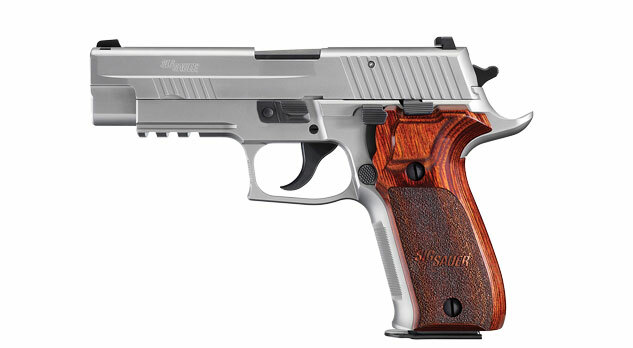 For those looking for a slimmer grip on the P226, options abound. 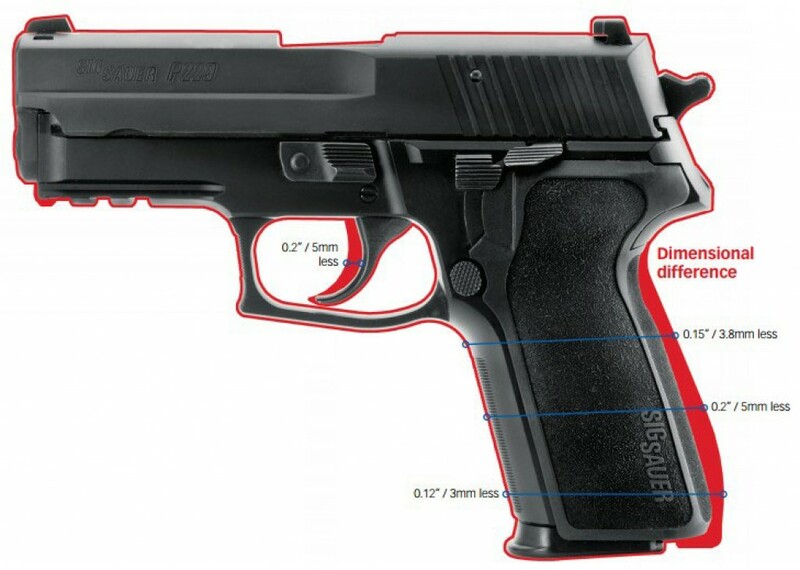 In fact, I find that the majority of the current aftermarket grips for the P226, P229, and others in the series look to reduce the circumference of the grip. Let’s talk about a few of the popular choices. 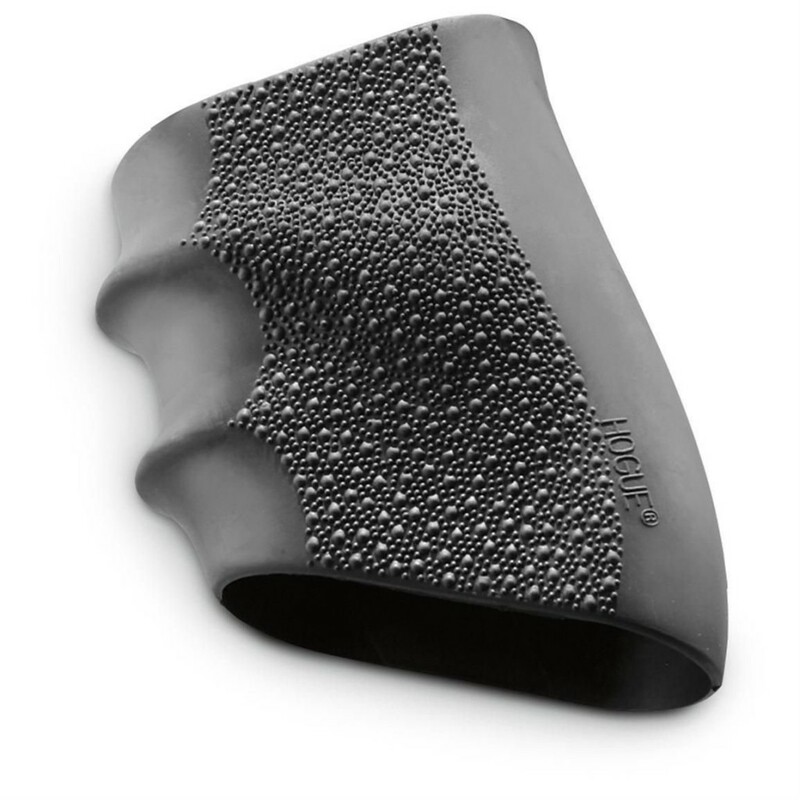 G10 grips are precision machined from the highest quality G10 material available to exacting specifications. G10 is a high-pressure thermoset plastic laminate consisting of multiple layers of woven fiberglass mesh cloth impregnated with an epoxy resin binder. It can be produced with many layers of the same color, or different colors to achieve a specific cosmetic look. Typical G10 is made of only flat layers. Hogue Inc. has a new patented method of producing G10 material called G-Mascus®. This method produces different patterns within the colored material which produces a unique look. 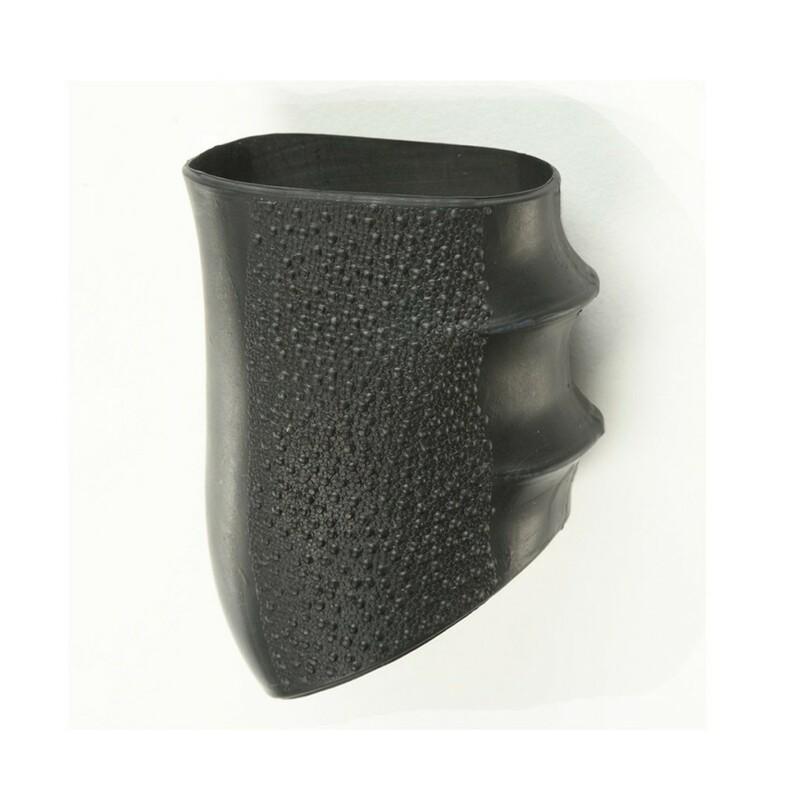 Grips made in this style take on a similar look to Damascus steel, hence the name G-Mascus. Our G10 grips are designed for a lifetime of use. If reducing the size of the factory grips isn’t important to you, and you’re happy with standard size grips, you might assume that lots of aftermarket grip options are available to you. Unfortunately, that’s not really the case. The majority of aftermarket P226 grips are slimmer than the factory grips — probably because owners who are happy with the factory grips have little motivation to change them, yet people who want slimmer ones are willing to pull out their wallets. For the most part, your options for grips that are the same circumference as the original factory grips are limited to the factory OEM polymer grips in a few different colors, in addition to some of the grips based on looks that I discussed earlier. Prior to the paint job, the grips on that gun were factory polymer grips… but if you look closely you might notice that the grips are longer than standard grips, and have a bear-claw logo on the sides. Let’s talk about those next. 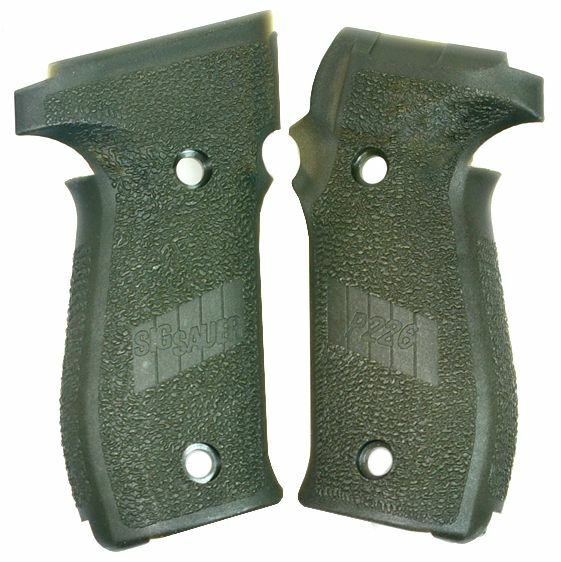 Magwell grips were designed to allow faster magazine changes, and help larger capacity magazines (like the 20 round mags shown in the photo of that P226 TACOPS) fit more naturally in the pistol. These magwell grips aren’t technically magwells in the true sense of the word, but many shooters like them, so as SIG’s OEM magwell grips became popular, aftermarket grip makers wanted in on the action. 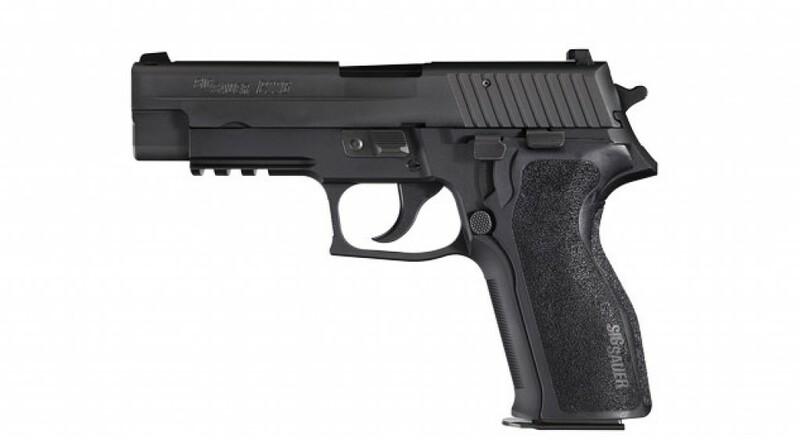 Not surprisingly, Hogue was there to fill the demand of P226 owners who wanted the benefits of an extended magwell grip on their gun, but also wanted a slimmer circumference and increase grip, via the Hogue G10 Magrip series. The Hogue G10 Magrips are available in the exact same textures as their G10 Extreme grips: Smooth, Checkered, Piranha, and Chain Link. They’re also available in all the same colors as mentioned before: G-Mascus green, G-Mascus black/gray, and solid black, but they don’t make the smooth finish Magrips in G-Mascus black/gray. I tried using the finger-groove wrap-around grips on my P226 MK25 for a while, and while I loved how they felt, they made the grip too large for me to shoot well. That’s not a knock on the grips, it’s just that my hands are too small to take advantage of the grooves. On my P220, however, which is thinner due to its a single-stack magazines, the Hogue rubber finger groove grips feel and work great for me. Whatever works for you to increase grip and help you shoot better, go with it! 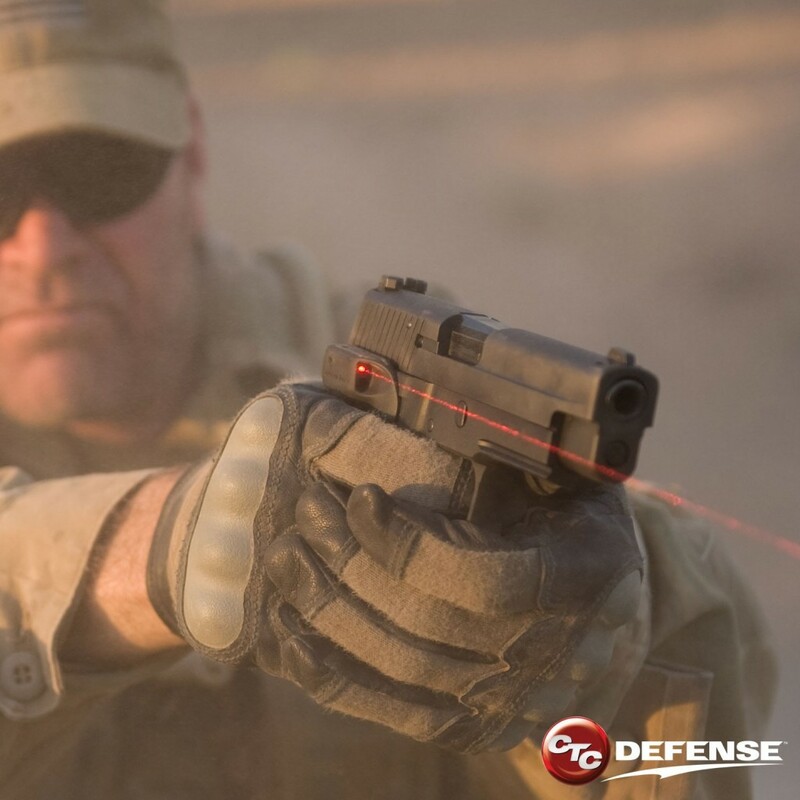 LG-426M laser sights for Sig Sauer P226 semi-automatics offer the waterproofing that U.S. Navy SEAL teams have come to depend on, as well an aggressive grip texture that functions well with or without gloves. 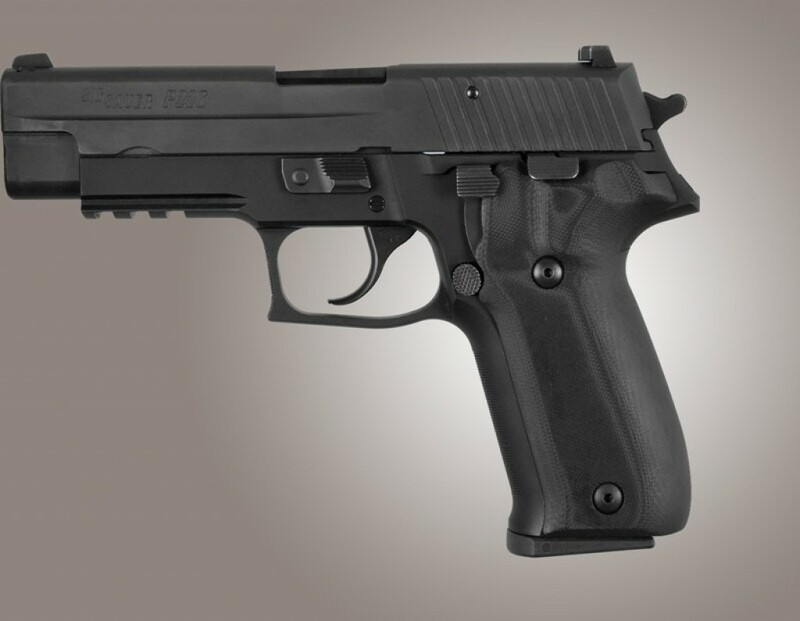 This front-activated model for the venerable Sig Sauer P226 brings Crimson Trace’s latest features to this international military, law-enforcement and civilian pistol. The LG-426M Lasergrip® incorporates a smaller diode housing for greater holster compatibility and improved handling for left-handed shooters. 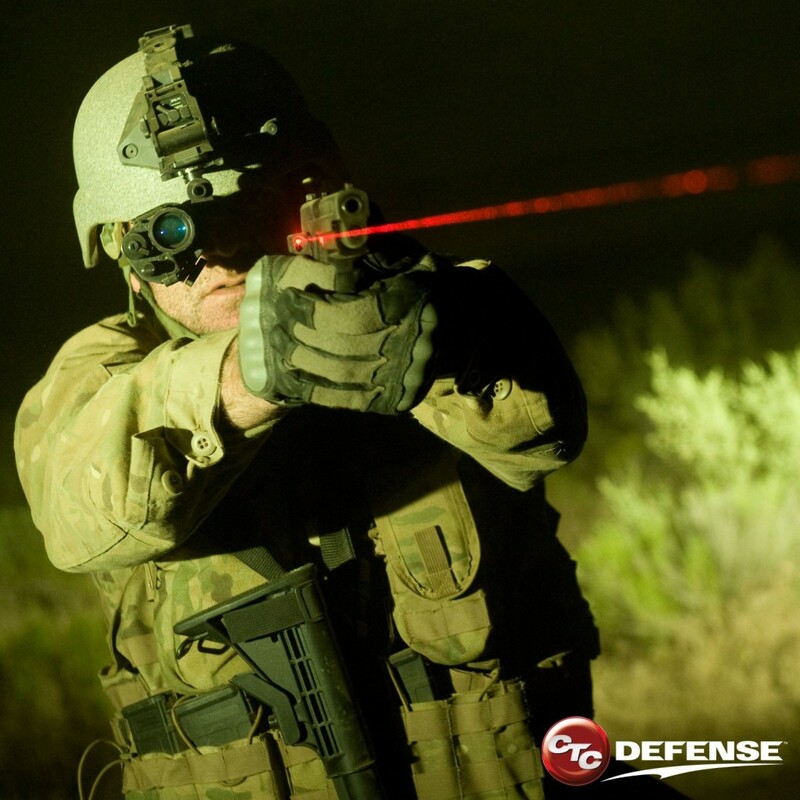 The Crimson Trace CTC Defense LGD-426C emits visible and IR laser. 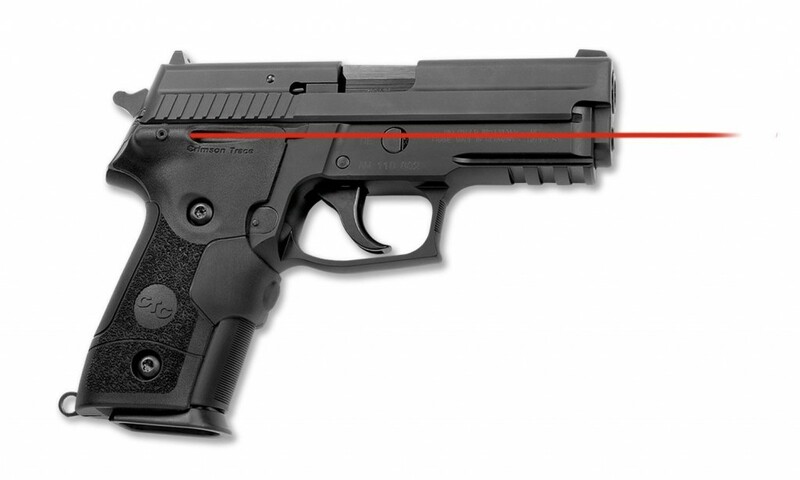 Crimson Trace LGD-426C can emit IR laser which can only be seen with infrared optics. A side-mounted switch lets you select between IR and visible laser on the LGD-426C. 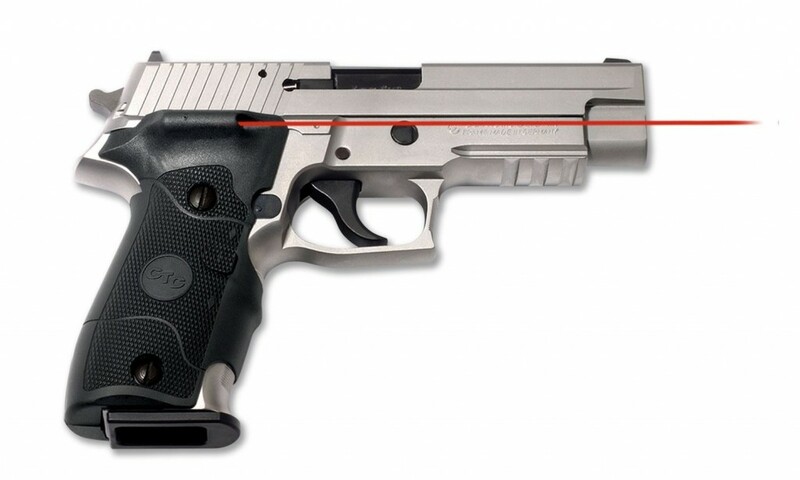 I’ve never tried the Crimson Trace P226 laser grips myself, but I know many who swear by them. They’re not cheap, and laser sights should never be a replacement for practice and sound targeting fundamentals. As with any accessory, practice is key to ensuring you could use any of these laser grips in a pressure situation. When installing any grip screws, never over-tighten them (it could interfere with magazine changes) and once you’ve verified fit and function, a drop or two of Loctite Blue on the threads of your grip screws is a good idea. It’s actually the same stuff as Uncle Mike’s Gun-Tite (which even says “LOCTITE” on the bottle), so buy whichever is cheaper at the time. 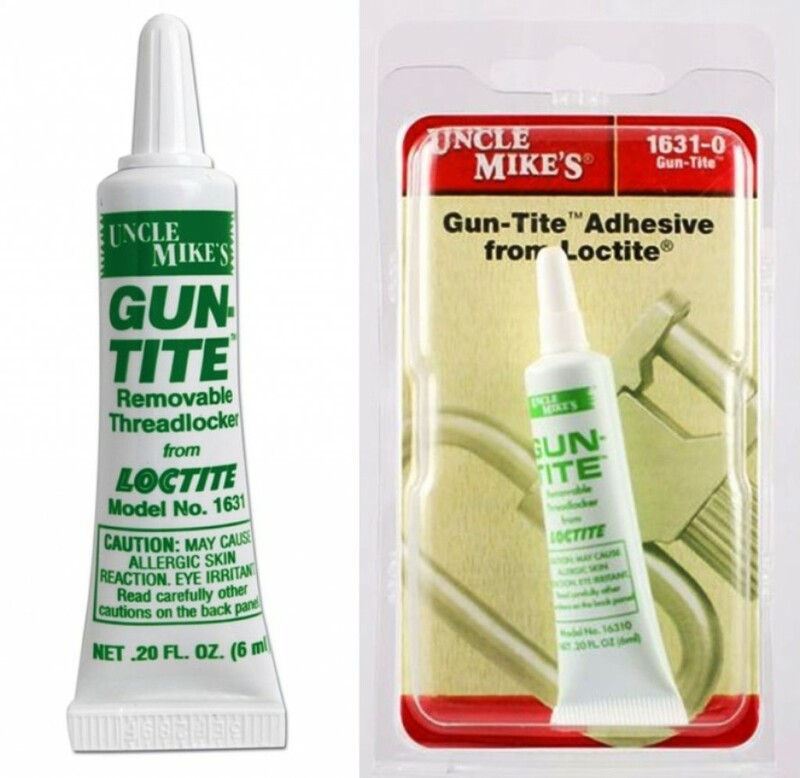 Uncle Mike’s Gun-Tite is LOCTITE Blue in a different bottle. 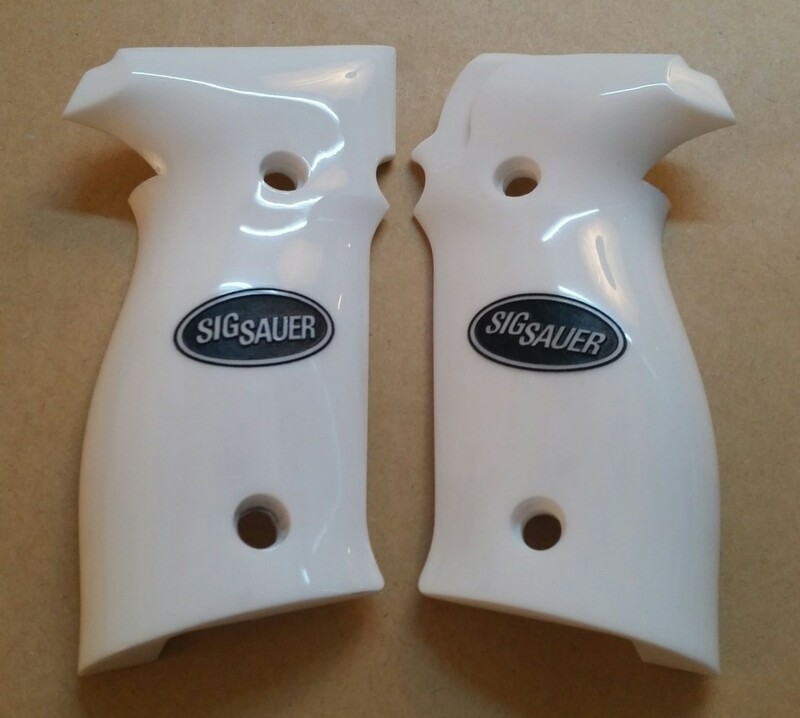 Hopefully, this post has helped you understand some of the grip compatibility issues (model, mag release, trigger action) when shopping for new grips for your SIG Sauer P226, as well as a number of options available to your, whether you’re choosing grips based on their looks, their effectiveness for a self-defense / range gun, or a combination of both. To wrap up, here’s a summary of helpful links to as many of the popular grip options discussed in this article as I could find. I hope it’s a useful reference. 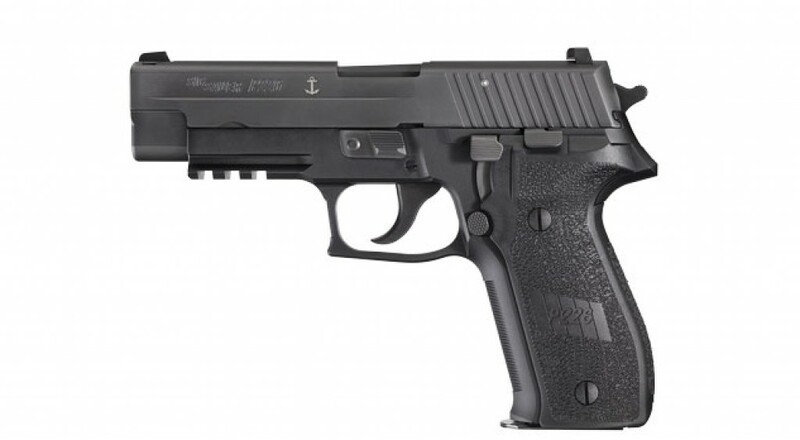 Unless otherwise indicated, all grips are for a standard P226 DA/SA. If I’ve left out your favorite, let me know in the comments and I might add them! 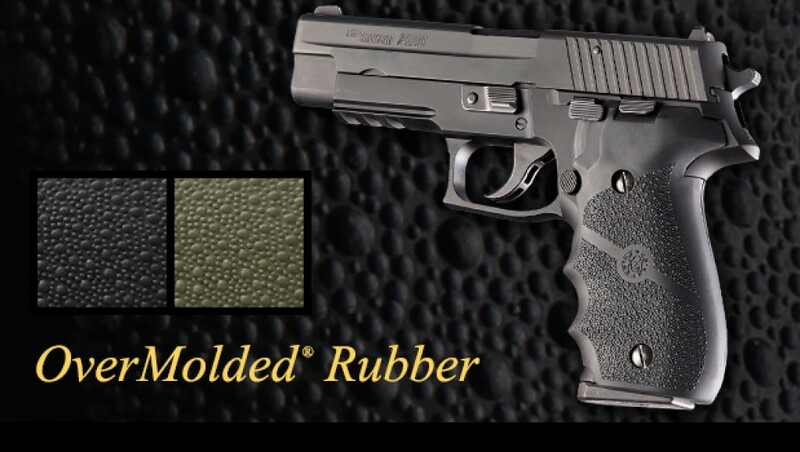 Of course, you can find even more options by searching for “P226 Grips” and sifting through the results. Whether you’re looking for great looking grips, great feeling grips, or a combination of both, there’s sure to be an option out there that works for you. If you have questions, comments, corrections, suggestions, or feedback on this article, please sound off in the comments below! 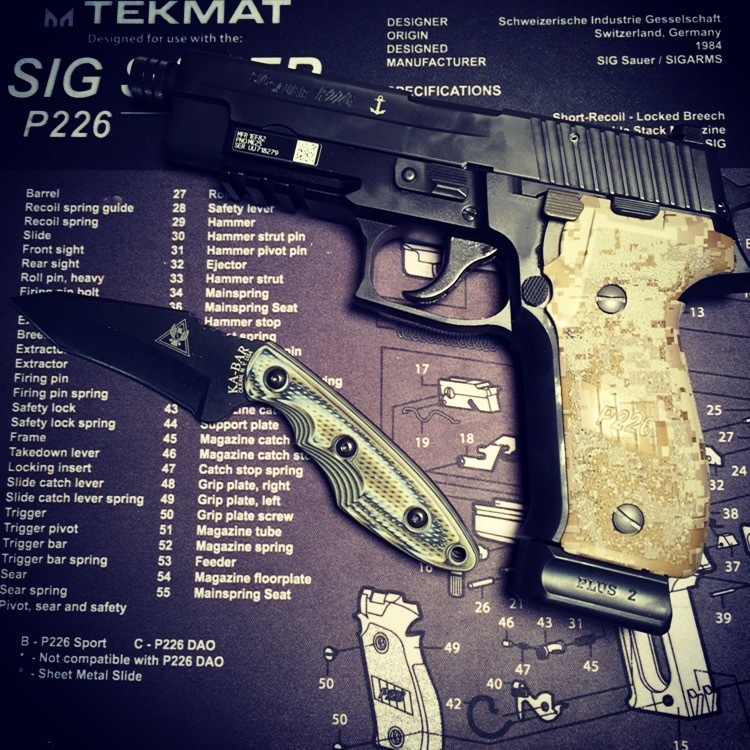 SIG Sauer P6: A West German Bargain… for now. Which Legion Should I Get: DA/SA or SAO? What’s Really in Gun Cleaners and Lube? 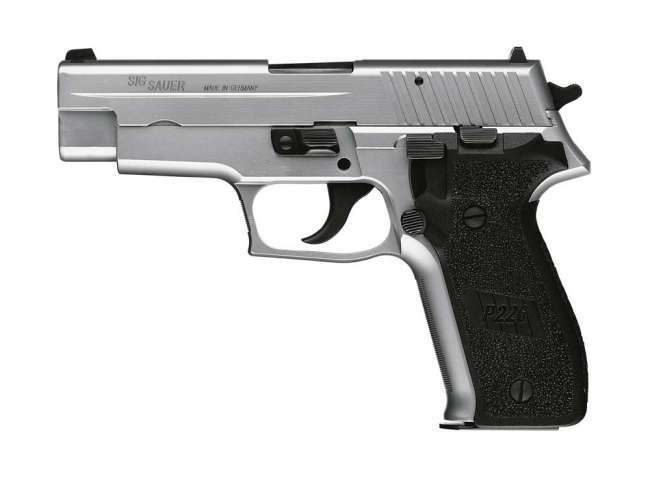 Is a SIG Sauer Legion Right for You? Enter your email address to receive notifications of new articles from RealGunReviews. © 2015-2017 Jenkins Holdings LLC. All rights reserved.